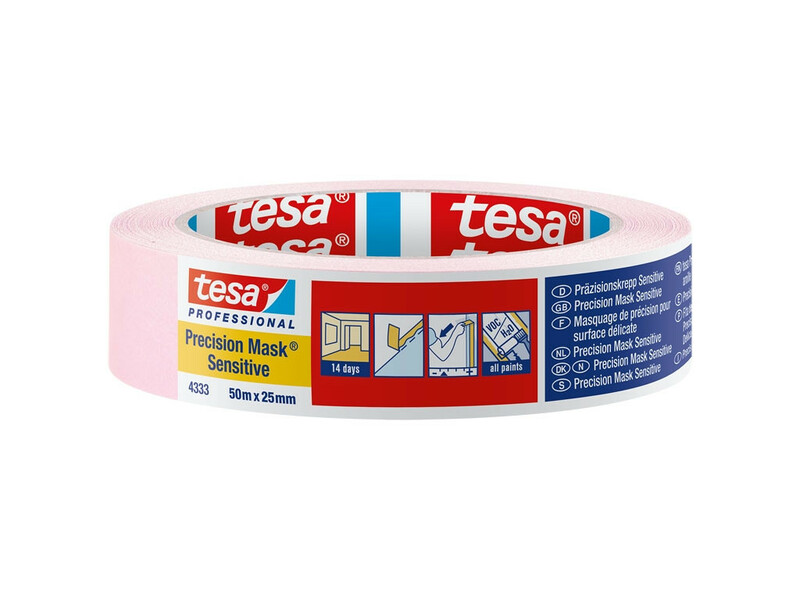 Tesa 4333 Precision mask sensitive masking tape for precision edge and low tack masking. 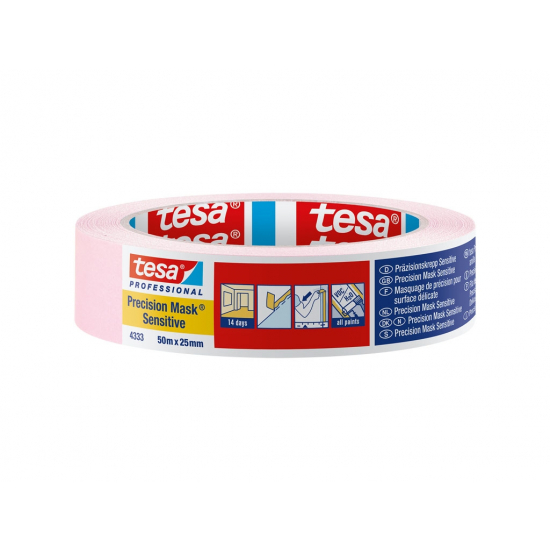 Tesa 4333 Precision mask sensitive masking tape for precision edge and low tack masking. Made with Japanese rice paper, provides safe and secure hold for up to 14 days, even on slightly structured surfaces. It is especially suited for indoor applications when a precise razor sharp paint edge is required without any tape residue. This tape has slightly transparent backing which is ideal for accurate positioning. Size 1 Inch (25mm) wide and 50 Metres in length.